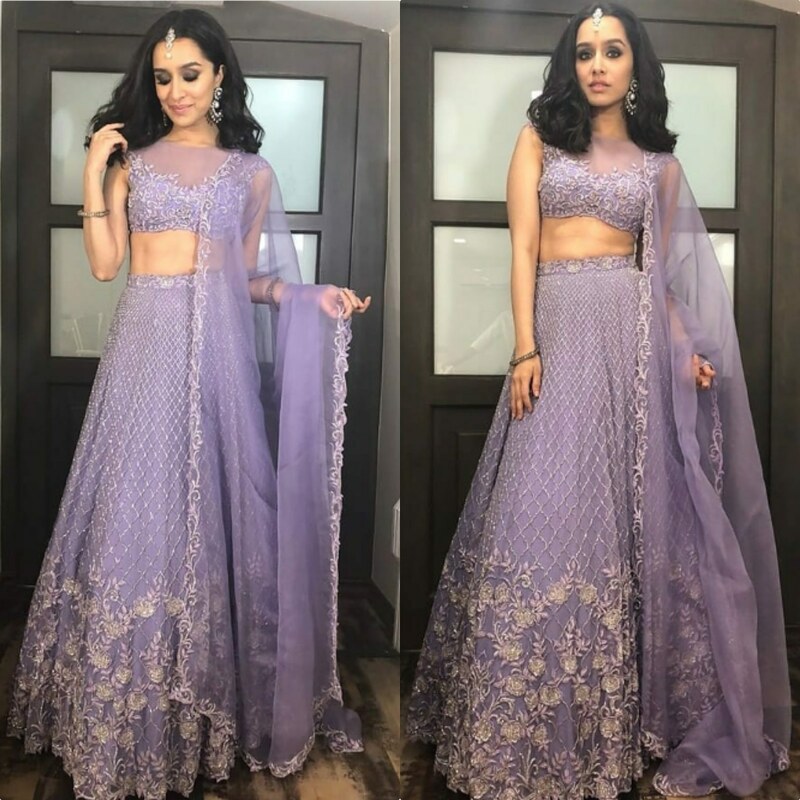 Sharddha Kapoor picked up a purple lehenga choli from Koecsh by Kresha Bajaj for her recent appearance at engagement ceremony of Akash Ambani with Shloka Mehta. Smokey eyes, open hair and silver jewelry finished off her look! 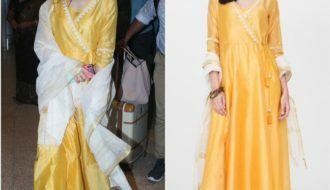 Minus her hairstyle, Sharddha looked good.